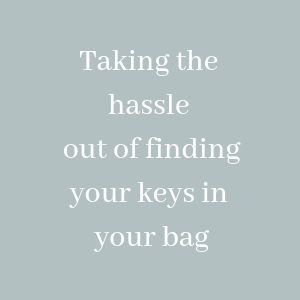 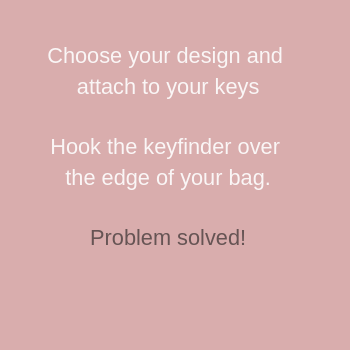 Simply attach your keys to the key finder and hook it over the edge of your bag. 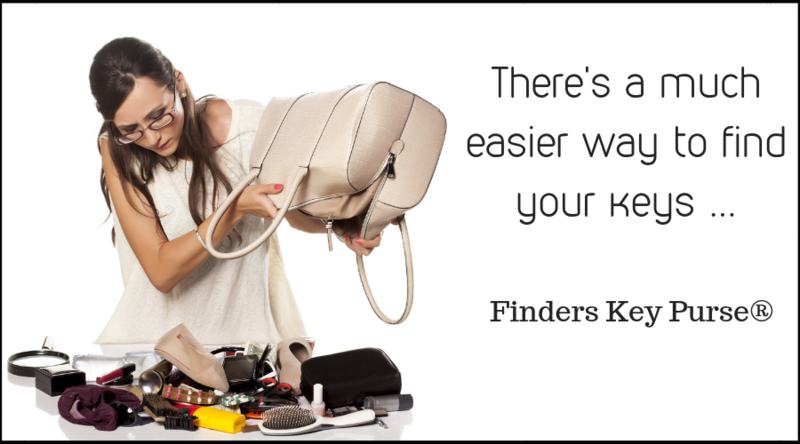 The key finder keeps your keys where you can easily find them. 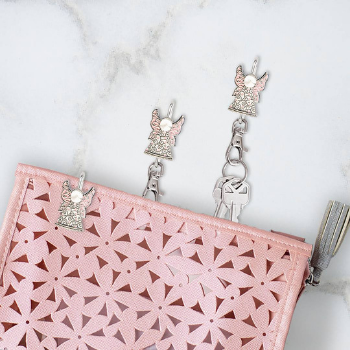 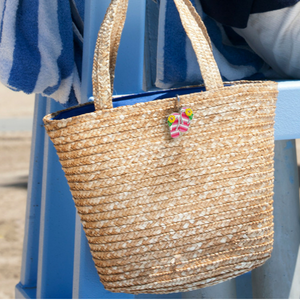 The unique design accessorises your handbag on the outside while keeping your keys secure on the inside.